Obviously, not many people are happy about this presidential election cycle. 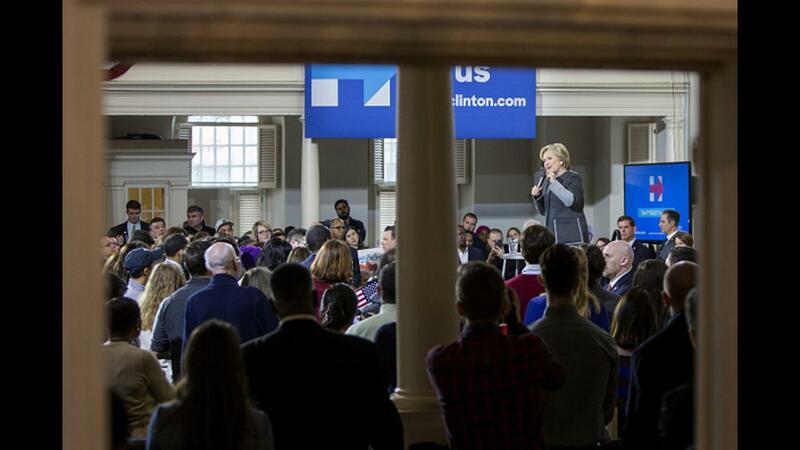 Many don't like the two remaining candidates Hillary Clinton and Donald Trump and, as always, threaten to move to Canada if a certain one is elected. A reddit user named haljackey shared a picture of a billboard in Charleston, South Carolina that addresses that concern with a real estate solution. 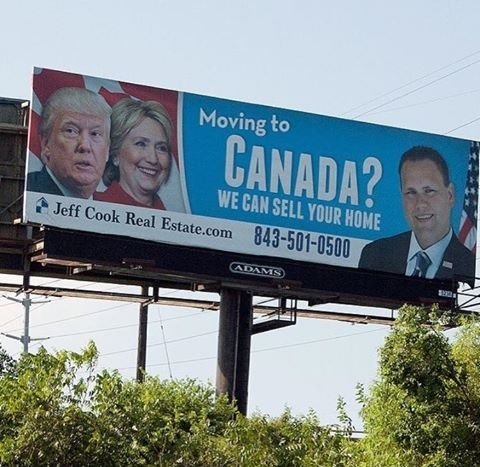 The advertisement for Jeff Cook Real Estate features images of Trump and Clinton emblazoned on the American flag. The text beside them reads: "Moving to Canada? We can sell your home." Props to Jeff Cook's real estate company, one of the many brands that has already commented on the state of politics in this country, and the leader of many more to come.